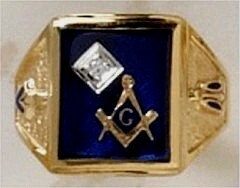 Scottish Rite & Shrine Rings 10KT or 14KT. Solid Back. Panels Scottish Rite on one side and the Shrine on the other. 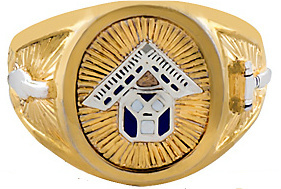 Rose Croix and Blue lodge triangles on either side of the top of the ring. 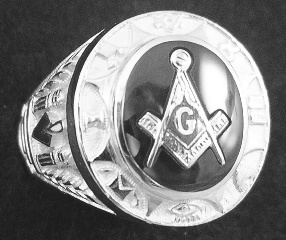 This ring will accommodate up to a 1.5 CT Stone. 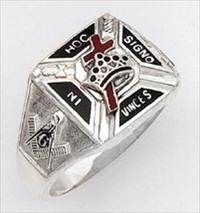 This ring is approximately 11/16ths inch wide.